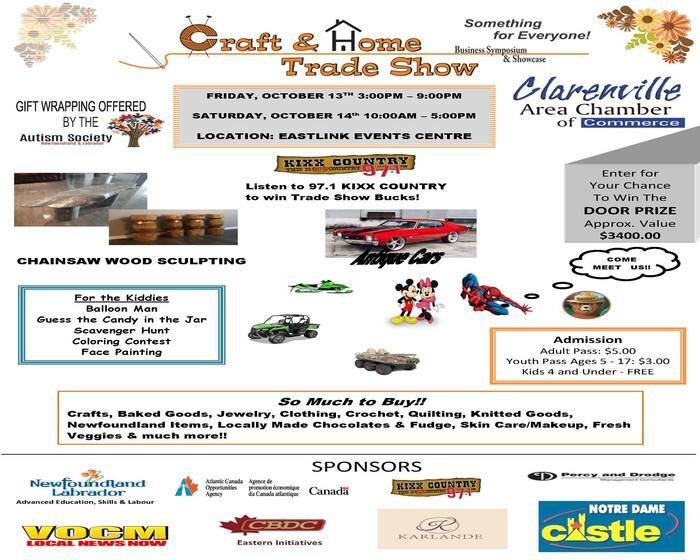 The Clarenville Area Chamber of Commerce is hosting their annual Craft & Home Tradeshow THIS weekend at the Eastlink Events Centre Clarenville! ■ Saturday, October 14th from 10:00 am to 5:00 pm. Also, Registration Packages are available. Contact Yvette at 709-466-5800 or email eventplanner@clarenvilleareachamber.com for detailed information or to obtain the registration package. Our Senior Lawyer, Joe Twyne, currently serves as Vice President on the Clarenville Area Chamber of Commerce board of directors.